Los Angeles has a hotel problem. Not that it has bad ones—between beloved old standbys like the Chateau Marmont, and popular newcomers like The Ace, the city practically swarms with hip hospitality. But most have something in common: design-wise, they tend to be somewhat on-the-nose, playing up their La La Land locale with a lot of self-conscious Hollywood atmospherics and funky-fabulous décor. “I think designers can get trapped by the word ‘glamour,’” says Shawn Sullivan. 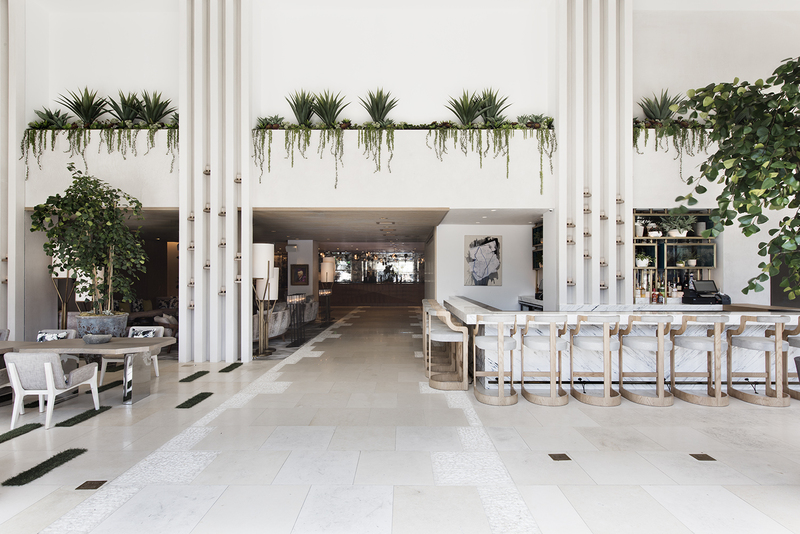 A partner at New York-based firm Rockwell Group, Sullivan has just finished work on a new and different kind of LA hotel—the first West Coast location for the international Dream brand. Located right in the heart of Hollywood, just steps from the Walk of Fame and with a clear view to the famed hillside signage, The Dream eschews the usual Tinsel Town theatrics for something that bears an alarming resemblance to authenticity. “I think of LA as a city of neighborhoods, with all these great houses,” he says. For The Dream, he lets the public into one. Dream Hollywood Lobby. Photography by Emily Andrews.